In a nutshell, the philosophy behind this concept is to take a weight you can only squat 10 times...and do it for 20 reps. Think about that. 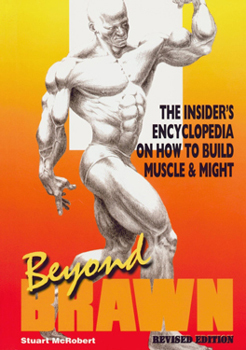 Your muscles will definitely be in Do-or-Die mode by rep number 12. Your lungs will be making a noise like a ShopVac. This is intense! The theory is, your body is being forced to adapt and to do that, it must increase the lean muscle mass to provide it more strength. To me, though, you want to start this far more conservatively. 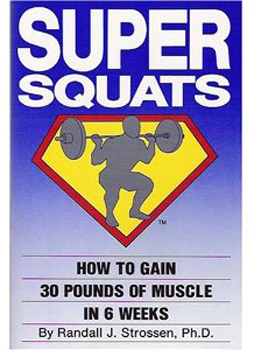 I would say to start this program ONLY after you have been squatting over 6 months, and have achieved impeccable form. Too many guys have suffered severe back spasms...or herniated discs...by jumping into an intense squatting program. The benefits of squatting cannot be understated. Squats are the backbone of any proven program where you workout like an athlete. However, the 20 rep routine should only be attempted after you've built up strength and have solid form. I would even suggest you start with 50% of your 10 rep max, and progressively increase from there. 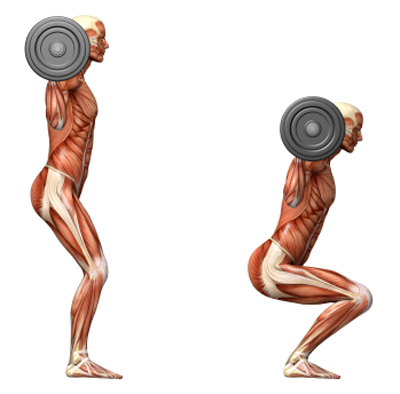 There is no need to aggressively pursue injury when working on the 20 rep squat. These two books are probably your best resource on this subject.